For over ten years, Accelerate Homes working in partnership with a selected group of respected cash buyers, have been buying houses for cash in an incredibly quick and ethical manner. We have helped thousands of happy clients sell their home fast in Bristol, and nationwide. If you’re struggling to sell your house or need a quick house sale, we can help! Accelerate Homes work with some of the UK’s most respected cash property buyers. We have a reputation for delivering a professional service that puts your needs first. Our partners buy all types of residential property regardless of the condition or location anywhere in England or Wales. Whether you are moving abroad, experiencing financial problems or looking to downsize, we can help by connecting you with a cash buyer who will purchase your property in as little as seven days. Our partners have significant cash investment funds that enables them to offer guaranteed cash offers, with no assistance from third party lenders on investors. Better still, they do not charge for their services, and you will never be obligated to proceed with a sale. In this guide on ‘How to Sell House Fast Bristol’, we will cover the process of selling your property fast, scams to be wary of and different options for sale to consider. Are you entertaining the idea of selling your house fast? Contact us for a free no obligation quote. Using a specialist cash property buyer offers an excellent alternative to more traditional routes of sale. Under the right circumstances, an estate agent or auctioneer is likely to get a better price on the open market. However, both of these options require a considerable investment of both your time and money. In fact, according to the latest City Rate of Sale Report from Post Office Home Mortgages, the average property in the United Kingdom now takes 91 days to sell. Read our in-depth guide on how long to sell a house in the UK here. If you’re looking to sell you house fast in Bristol, this is not ideal! Selling through an estate agent has the inherent risk of getting stuck in a property chain as well. Chains are not only frustrating, but they can significantly delay the completion of a sale. 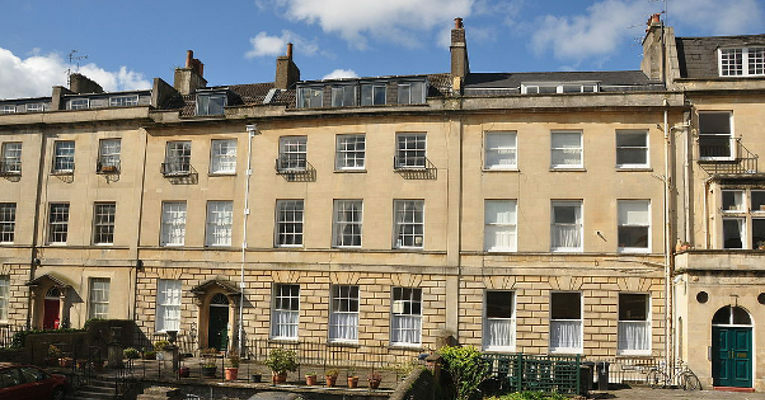 Furthermore, an estate agent typically charges 1.3% of the sale price in Bristol, plus additional administration fees, solicitor fees and surveyor fees. Such costs can quickly accumulate, and render the initial purpose of hiring an estate agent null and void (see our illustrated example here). Don’t let estate agents cut you a raw deal, or leave you waiting for a sale for months. If you’re looking for a quick and painless sale, a fast property buyer could be the answer. We can connect you with the best cash buyers to provide a quick sale within as little as seven days, which is just unheard of on the open market. All our partners are members of The Property Ombudsman and The National Association of Property Buyers, and are committed to providing exceptional service. Our partners have the reputation of being the most trusted and transparent cash property buyers in the United Kingdom. Our process is designed to be straightforward, stress-free and totally transparent. For a detailed breakdown on how to sell house fast Bristol, please see below. To get a free quote call us or complete the online form. We will connect you with one of our recommended partners whose valuation team will review your documentation and present a cash estimate within 24 hours. This is determined using in-depth knowledge and a wealth of experience in buying property in Bristol. Assuming you are happy with the estimate and wish to proceed, our partner will arrange a convenient time for an independent surveyor to visit your property and conduct a valuation. Surveying comes at no cost to you. Based on the RICS report they may slightly increase or decrease their initial cash estimate. However, they will confirm any adjustments in writing, and their final offer will never change. Our partners always aim to move at your pace. There is no obligation to proceed with the sale at any point. If you do choose to continue, they’ll be ready to assist with all paperwork and legal matters. Our partners can arrange and pay for conveyancing. However, some clients prefer to use their own solicitor, and that’s fine – our partners will still cover the cost. The only thing you need to do is choose a completion date that suits your timeline. The way our partners work means they are entirely flexible so be as ‘picky’ as you like! Contact us and speak with one of our expert consultants to sell you house fast in Bristol. For the past decade, we have developed a top notch network of cash buyers who are specialised in buying property for cash in England. Our wealth of experience and our professional approach means we continually exceed the expectations of our clients. Find out exactly why our customers love us below. Guaranteed cash offers: Unlike other cash property buyers, we only work with buyers who are in a financial position that enables them to secure the best possible quick CASH sale. None of our partners rely on third party investors or lenders who can delay the process. No expenses, No fees: At Accelerate Homes our customers are at the forefront of everything we do. In the financial world, this translates to absolutely no fees. Our partners cover all expenses, from conveyancing to surveyor fees, and administration fees to removal costs. No Chains, No Risk: Our partners eliminate the danger of getting caught up in a property chain. This buyer behaviour can slow the process of a sale, or in some cases stop a sale altogether. Contact us today if you believe you have been caught up in a chain. Fast and flexible completion: We are well-known for a fast and efficient service. Our partners can complete a transaction for you in as little as seven days, although, they typically finalise sales within 28 days. However, our service is flexible, so if you need a super swift service, we’ll bend over backwards to hit your timeline. Private and discreet: Our service removes the need for expensive advertising, intrusive sale boards, and inconvenient viewings. You can also forget about the stress of preparing your home for sale. With Accelerate Homes there’s no need to spend money on professional photography, home repairs, staging or cleaning. Our clients seek our help for a variety of reasons. Please see below for a small selection of reason to sell house fast Bristol. Financial difficulty: Financial hardship is nothing to be ashamed of, the situation can happen to anyone, and it can be totally unexpected. If you are struggling to keep up with repayments on your loans, credit cards or mortgage, our partners can help by quickly releasing equity in your property. Our partners can also assist clients with finding and moving into their new home. Repossession: By contacting Accelerate Homes and acting fast we can delay or even stop repossession entirely. If you’re concerned about the possibility of repossession, you should contact Accelerate Homes immediately. Relocation: One of the most common reasons for contacting Accelerate Homes is an unexpected need to relocate. Whether that is due to family or work, often the need is urgent. Many people don’t have time to sell via traditional methods or would simply prefer to avoid the hassle. Property chain: Occasionally contracts fall apart. For one reason or the other, a buyer may pull out at the last minute, preventing you from selling and funding the purchase of your new home. Accelerate Homes is specialised at helping in these situations. We can quickly connect you with a cash buyer who can buy your property, ensuring you don’t miss out on your dream home. Divorce: Dealing with the circumstance of a divorce is difficult. Let us take the burden of shared property off your shoulders. We can buy your home swiftly with minimum fuss so that you can move on with your life as soon as possible. Avonmouth, Ashley, Bishopston,Brislington West, Bishopsworth, Brislington East, Bedminster, Cabot, Clifton, Clifton East, Cotham, Eastville, Easton, Frome Vale, Filwood, Hillfields, Hartcliffe, Horfield, Henbury, Hengrove, Henleaze, Knowle, Kingsweston, Lockleaze, Lawrence Hill, Redland, Southville, Stoke Bishop, Southmead, St George West, St George East, Stockwood, Whitchurch Park, Westbury on Trym, Windmill Hill.